The history of Chatsworth begins with Elizabeth Talbot, Countess of Shrewsbury, better known as Bess of Hardwick. The history of Chatsworth begins with Elizabeth Talbot, Countess of Shrewsbury, better known as Bess of Hardwick. 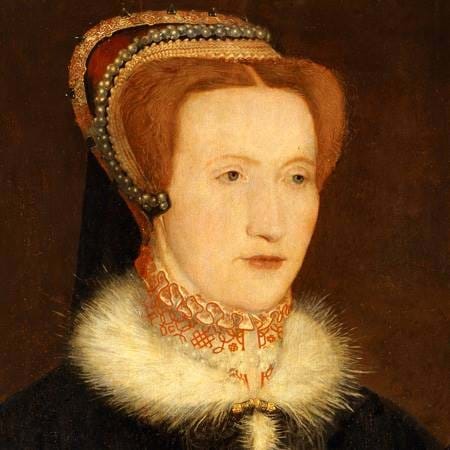 A native of Derbyshire and from a modest background, she grew to become the second most powerful woman in Elizabethan England after the Queen. Bess married four times, and it was with her second husband, Sir William Cavendish, that the Cavendish line that continues today was established. 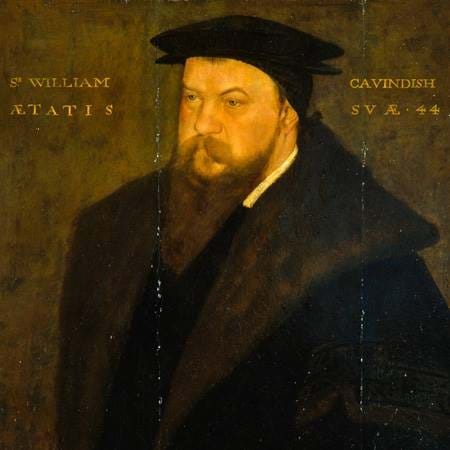 Sir William Cavendish came from Cavendish in Suffolk, and prospered during the 16th century as one of King Henry VIII's commissioners for the dissolution of the monasteries. When he married Bess in 1547 she persuaded him to sell the former monastic lands he had amassed and move to her home county. Despite its isolated location and the risk of flooding, they bought Chatsworth manor for £600 in 1549, and in 1552 began to build the first house on the site. The Hunting Tower, built in the 1580s, still stands on the hill above Chatsworth. After Sir William died in 1557, Bess married Sir William St. Loe (d. 1565) and lastly, in 1567, George Talbot, 6th Earl of Shrewsbury (c. 1528-90). Queen Elizabeth I appointed Shrewsbury as custodian of Mary, Queen of Scots, who was a prisoner at Chatsworth at various times between 1569 and 1584. Her lodgings were on the east side of the house where the rooms, although changed beyond recognition, are still called the Queen of Scots Apartments. Bess also built Hardwick Hall, her surviving masterpiece. One of the greatest houses of the Elizabethan age, it has a unique collection of 16th and 17th-century embroideries, tapestries and furniture. It belonged to the Cavendish family until 1957, when it was given to the government in-lieu of death duties, and is now a National Trust property.